AOL UK has launched AOL On, its premium video network in the UK, with content partners Endemol beyond, Channel 4 News, ITN, Scripps Networks International, Little Dot Studios, MyMovies, Videojug, Trinity Mirror, Telegraph Media Group and TalkTalk. The new network will feature both curated and original content around news, entertainment, style and tech. 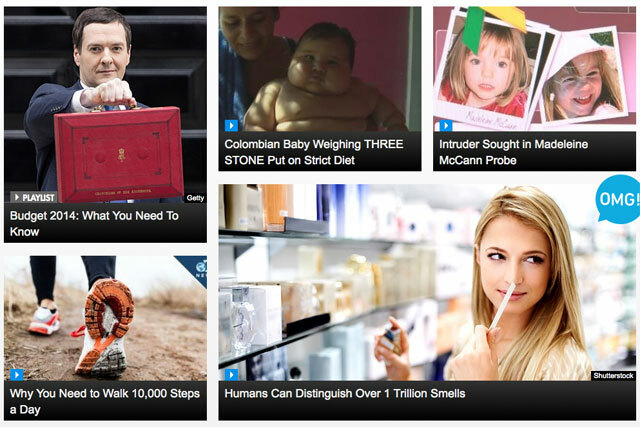 The network also includes AOL's own sites, The Huffington Post UK, AOL, Parentdish, MyDaily and TechCrunch. It follows the launch of The AOL On Network in North America last year, which regularly achieves the number-one spot in comScore’s video category with four billion ad streams, and is the top premium digital video provider with one billion content streams. Part of this success is attributed to AOL's venture into original content creation through the AOL Originals, a slate of high-quality original programming with talent such as Gwyneth Paltrow, Sarah Jessica Parker and Nicole Richie. Graham Moysey, head of international at AOL, said: "AOL On is already the web's largest premium curated video library and today we're launching with some of the UK's leading content producers and publishers and looking forward to getting many more on board in the coming months." In addition to the online video hub, the AOL On app will be available in the UK in the Apple App and Google Play stores in early April. AOL On builds on AOL’s existing video offering through branded content distribution business, Be On and programmatic video trading platform Adap.tv.